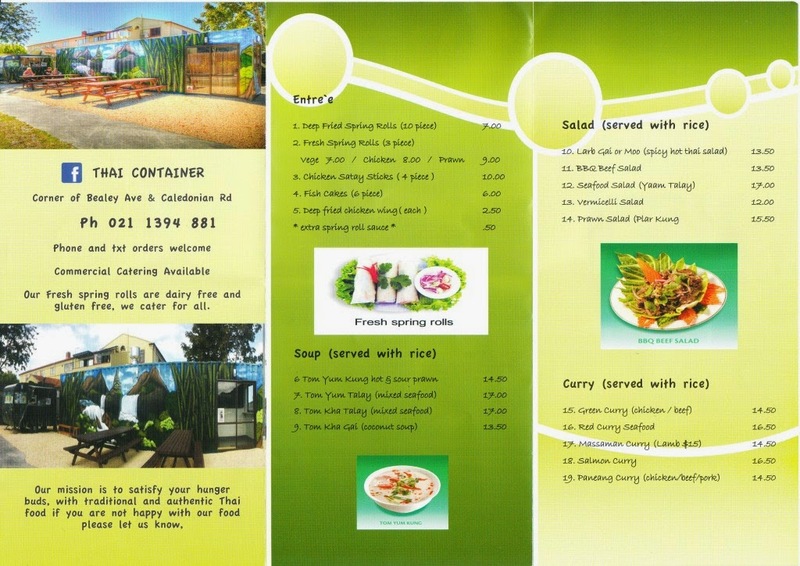 On the corner of busy Bealey Avenue and Caledonian Road the Thai Container is one of a number of fairly permanent food truck style eateries around Christchurch that seem to be filling some gaps in the food scene post earthquake. The container itself is brightly decorated and forms one side of the establishment, containing the kitchen. An old school caravan houses the counter for orders and several tables provide an area for people to wait for their order and/or eat. 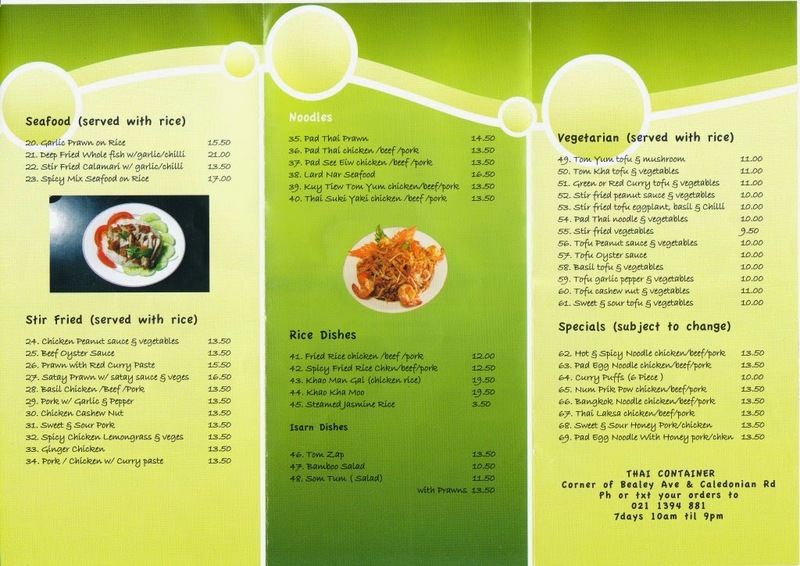 The menu covers most of what you'd expect and a little more. We made our selections and sat down to wait, and eventually after checking once and a false start, our number was called and we picked up our dishes. It was just a bit to cold and the traffic a bit to heavy to be an ideal spot to loiter and enjoy our food, so we headed back to our motel to eat. 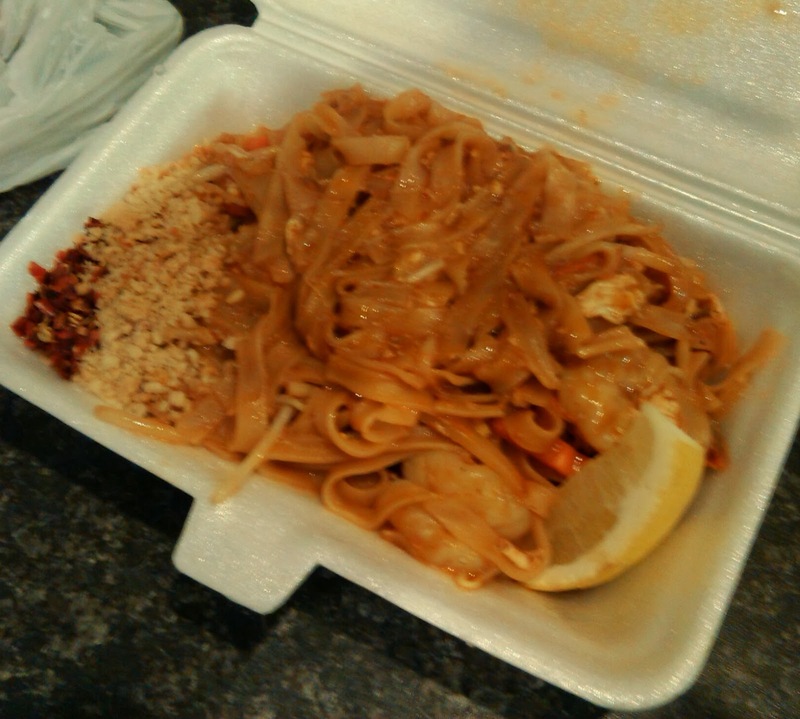 The prawn pad thai was nicely flavoured and well cooked. 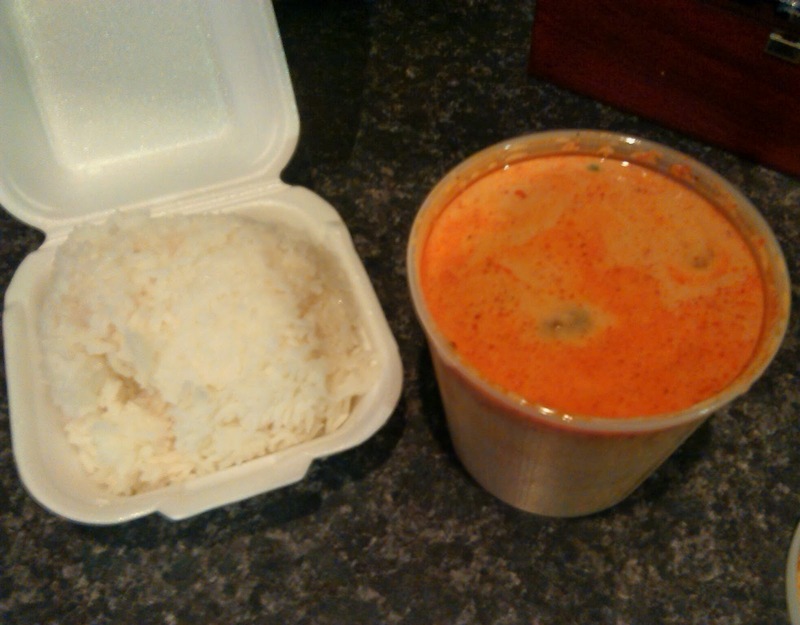 I had a great chicken massaman, which balanced the sweat, spicy and nutty combination perfectly. 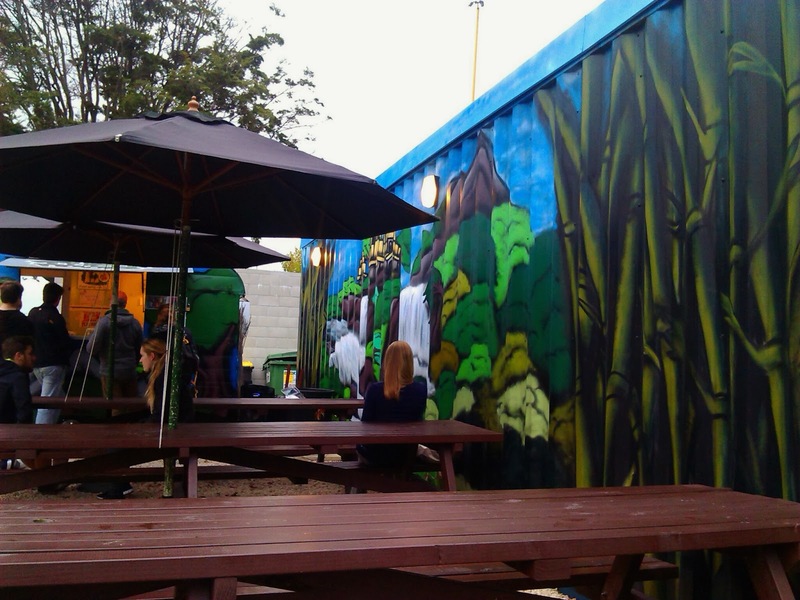 While it wouldn't be an ideal location for a date, the Thai Container certainly offers some tasty food for reasonable prices. hey just tried this place after reading your blog online, WOW! 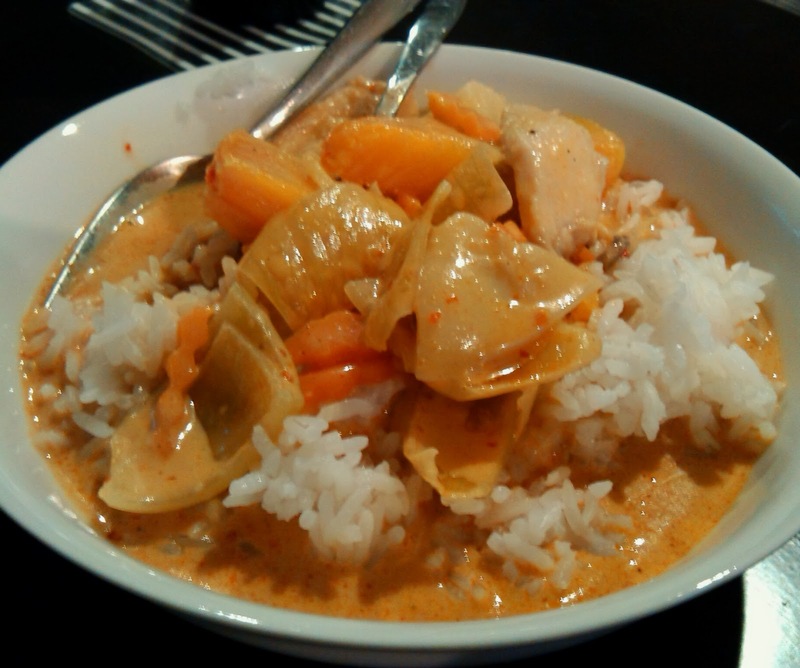 it's solid Thai food , i travel to Thailand every year for work and this beats some of the food i have had their, so nice to have the original food back here at home. Glad you enjoyed it, and thanks for the feedback!